When it comes to Texas weather in January, some days may feel like Boston winters, while other days may feel like autumn breezes in the south. With the weather experiencing below-freezing temperatures, some may think installing an irrigation system should be extremely low on a list of priorities. Truth is, now may be the best time to consider an irrigation system. Many irrigation contractors have wide-open schedules, as they do most of their work during the spring and summer months. Because of lack of demand, some contractors may even offer seasonal discounts. In order to own that pristine lawn, it’s best to have all proper equipment ready to go well before the spring. 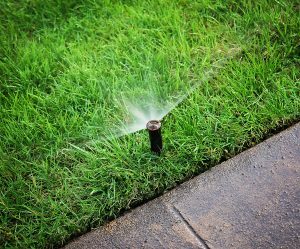 Focus on having a ground sprinkler system installed roughly 4-6 weeks before the start of spring. Our Fort Worth TX landscapers specialize in expert irrigation and sprinkler services. In addition to quality work, we guarantee service finished in a timely manner. Call our Fort Worth landscaping company, or contact us online for details.